If you have a problem with garden ants, we can help. 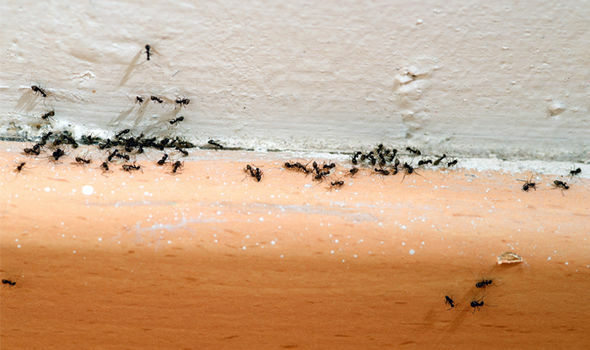 Garden ants in a property are more of a nuisance than a health risk. Habitat: ant colonisations can be found close to human buildings, enabling a food source for the ants to forage. Occasionally an ant’s nest will be built within cracks of an industrial building. In an ants’ nest, thousands of ants each have their duty to perform and work on their specific task. Breeding: after the queen ant has laid her eggs, the hatching period is 3-4 weeks later. These grubs mature three weeks later into larvae, the following 2-week pupation period then produces adult ants. Come to the end of summer, the mature winged male ants leave the nest and die, the females find a new home for nesting.